The Canadian Mental Health Association, PEI Division is hosting a half-day ASIST Tune-up. Every few years, ASIST participants need to “tune-up” their suicide intervention skills in a refresher workshop. 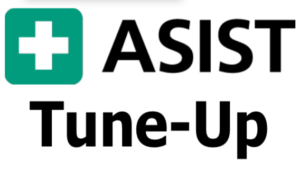 The ASIST Tune-up workshop focusses on tuning-up and practicing the skills learned in ASIST – how to recognize opportunities for help, to reach out and offer support and to apply the ‘pathways for assisting life’ (PAL) model, linking a person with thoughts of suicide to the appropriate community resources. In order to participate in this refresher, you must have completed the two-day ASSIST workshop edition 11 (offered since April 2014). Cost $50/person. Please consult the attached flyer for more information.